With Christmas just around the corner now will be the time that we begin to plan the big day. The first thing that we will do is get the Christmas dinner out of the way, and only then can we all relax and enjoy our times with loved ones. Some will just watch TV after, while others participate in a range of activities. One such thing that you can do to pass the time is trivia games. iTunes App Store is forcing us to think that holidays are not far away through it’s Christmas themed apps. Apps are coloured with Christmas Happiness. To get festive mood on Christmas, I have list and Free Tools download links of 7 Free Apps for iPhone/iPad for you. 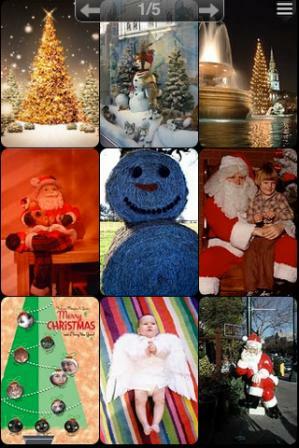 Christmas is an iPhone app with all sorts of goodies packed into one little app. With a Christmas countdown, an Advent Calendar filled with surprises that you can unlock each day, including iPhone wallpapers, jokes and a gift list. The app is the perfect cohort to get you into the Christmas spirit as you count down the days to Christmas Eve. The Christmas sound shelf is a great application having a variety of sound effects that you can play against the background of either Jingle Bells or Silent night. From sleigh bells, to a crackling fire, kids will have fun creating all the sounds that come with Christmas. So don’t forget to have another holiday season without premium sound and music collection in the Christmas Sound Shelf FREE app for your iPad. It is a free version application with an all new, Christmassy look and music. The full version of Fuzzle is also being updated to support switching to this new look + music in the settings menu, so that will become available to all users who have purchased Fuzzle sometime this week. 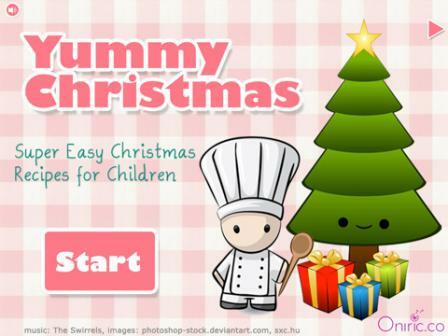 If you want to keep your kids involved in Christmas cooking, try some of the easy, child-friendly recipes in the free iPad app, Yummy Christmas from pineapple christmas trees to ice cream santas, the recipes are easy and will be lots of fun for the children. So enjoy easy recipes alongwith Cute images and funny sounds. 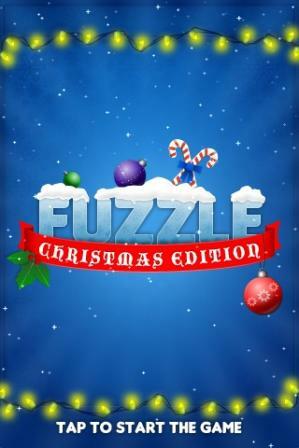 It’s an application for your iPhone or iPod touch that is full of holiday cheer. Christmas contains a huge selection of both traditional and contemporary Christmas carols. So celebrate the joys and wonders of Christmas with Christmas carol gifts by Rainbow Cow. Send happy and warm Christmas cards to your friends, family and loved ones. This application is really good as it is loads of fun and educational for the holidays. It is specially Made for kids that just can’t wait for Christmas or kids that just learned to walk! So get out your Christmas spirit and play this fantastic children’s songbook. Whether it’s your first Christmas or your seventh, this app will be a joy to sing and play with! I think you’ll really like this Christmas wallpaper app as it has over 1,500 of the best quality Retina HD backgrounds, and it features over 450 glow effects, including “special Christmas glow effects”. Backgrounds are in 10 categories, including Tree, Santa, Light, Decoration, Quotes, Snow, Winter, Festival, etc. The user interface is easy to navigate as well, and you can even upload your own wallpapers to be seen by millions of users. happy new year. every body. Merry x’mas and Happy new years.